Five days I will never forget. 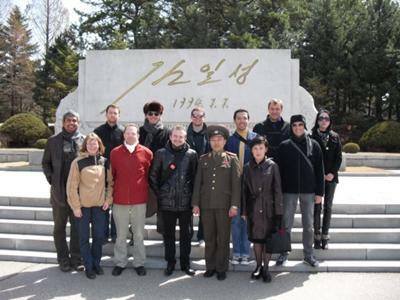 This tour in the DPRK was wonderful! Not much trouble for an American to get in anymore but, remember, you can't take the train back. - No credit cards accepted and no ATMs available. Cash only. They accept Euro, US Dollar, Chinese Yuan and Japanese Yen. - Take plenty of money, please. I went with only 500 RMB and US$45 and came back to Beijing broke. My fault, not theirs. Prices are in Korean won. 140 won = 1 Euro. 1 Euro = 10 Chinese Yuan. Double check conversion rate for US Dollar as well as international phone call rates once in the DPRK. These turned out being 6 Euro/minute. - Have an open mind. Try to learn some Korean from your guides (i.e. Hello = "An-yo Ha-sim-nee-ka", Hurry up! Let's go! 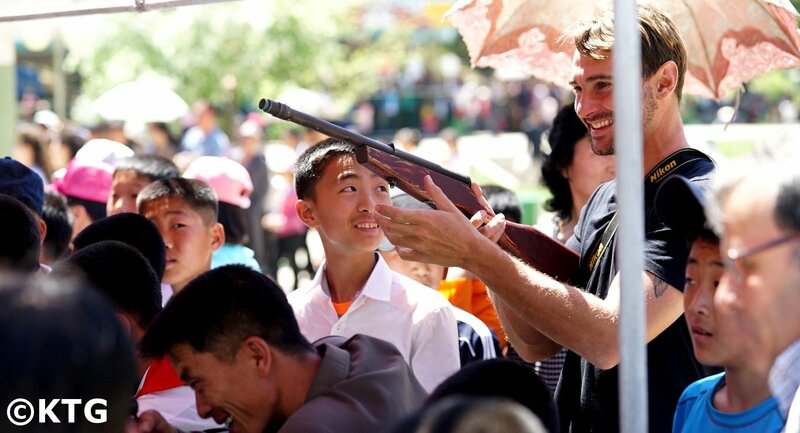 = "Ba-lee cup-see-da") and, if the opportunity presents itself, mingle with the locals. On our tour, we danced with local Koreans in a park near the Chollima statue. - Be able to make the best of your trip. This tour I took was only five days and I still feel like there were things I missed and more to see and have a great desire to return. Americans can't take the train back so, while we waited for our flight, we spent some more time in Pyongyang. Also, the Juche tower was under renovation so we couldn't go there but we could take pictures of it from Kim Il Sung Square. 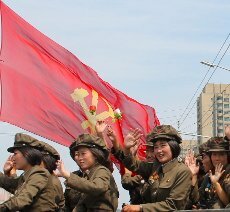 - Remember your manners and get to know those you are visiting the DPRK with. Who knows? You might make a new friend or two. I know I did. P.S. If you get Ms. Lee as your tour guide, ask her about the group that gave her the nickname "Chollima Lee". That was my group. Many thanks to Rayco and all at KTG for making this tour possible! Great advice there for our readers! Greatly appreciated. Glad to see you enjoyed the trip!